COLUMBUS GROVE - Alexis M. Payne, 34, of Columbus Grove, died 8:06 a.m., Friday, September 14, 2018 at Mercy Health Putnam County Emergency Services, Glandorf. She was born January 20, 1984 in Lima to George and Deb (Rigg) Gyetvai of Ottawa. On November 19, 2011, she married Michael Payne who survives in Columbus Grove. Other survivors include a son, Eli Payne at home; a brother, Ian (Jamie Dickey) Gyetvai of Ottawa; a sister, Kayleen Gyetvai of Ottawa; maternal grandparents, Russell (Jeanne) Rigg of Vaughnsville; mother-in-law, Nadine Payne of Cleveland; two brothers-in-law: Joseph (Ashley) Payne and Matthew Payne both of Cleveland; a sister-in-law. Ashleigh Payne of Jacksonville, FL; and nieces and nephews: Kadence, Brooke, Mackenzie, Bella, Logan, Sophia and Aiden. She was preceded in death by her paternal grandparents, Harry (Opal) Gyetvai. 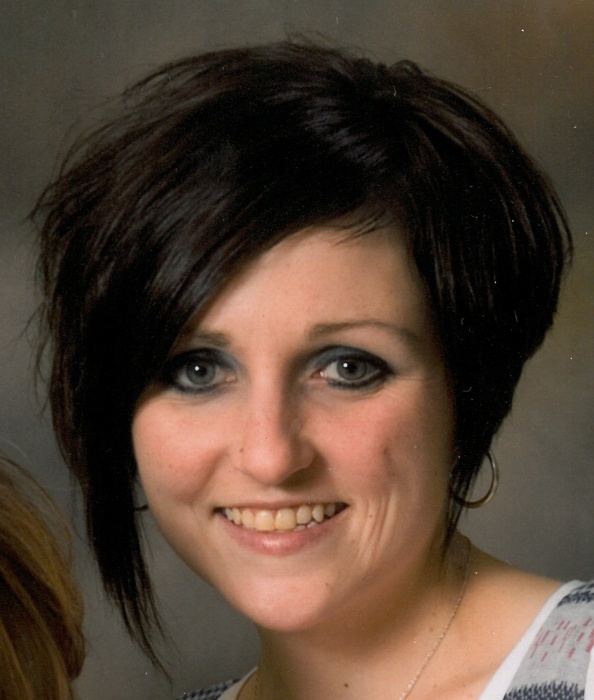 Alexis was a secretary at Mercy Health Putnam County Emergency Services in Glandorf. She was an 2002 Ottawa-Glandorf graduate and enjoyed going to cars show. Alexis was very crafty and loved Pinterest. Her son, Eli was the light of her life. Funeral services will begin 11:00 a.m., Wednesday, September 19, 2018 at LOVE FUNERAL HOME, Ottawa with Pastor Jim Swihart officiating. Burial will follow in Varner Cemetery. Visitation will be from 2-8 p.m. Tuesday and one hour prior to the service on Wednesday all at the funeral home. Memorial donations may be made to assist in Eli's education.